I’ll never forget the first funeral I attended here in tiny Wells, BC in the summer of 1996. Faythe Thompson had died at age 35 and the Curling Rink’s upstairs lounge was packed with mourners at her wake. With a guitar and mandolin, Barkervillians Rod Nagel and Ross Douglas led the gathering in Stan Rogers’ Mary Ellen Carter, and the room boomed out in unison. The hair stood up on my neck, not just from the emotion of the moment or the power of this song, but the fact that nearly everyone in the room knew all the words to a Canadian song. And not just any song, but a long, rousing anthem. Shortly after, I learned that not only did a lot of Stan Rogers fans live here, but back in the 1930s, the town’s founder, Fred Wells, preferred hiring miners who could sing or play a musical instrument – or play various sports. Apparently this was common practice in mining towns: it helped bond communities through culture. Think Men Of The Deeps in Cape Breton. As a result, if someone leads a song at a Wells coffeehouse or a visiting musician asked the audience to sing along during a concert, people really do sing along – with gusto. Very different from many situations I have experienced elsewhere in Canada where people might squirm or look around in embarassment. Whether it’s because so much US culture floods our airwaves, cinemas and newsstands, or because we’ve become consumers of culture more than participants, or some other mysterious reason, for the most part, we Canadians have lost our voice. In doing so, we have given up a tremendous source of power. Just watch The Singing Revolution or Amandla! A Revolution in Four Part Harmony to see what level of organization and change is possible through music. Singing binds us in a natural act of solidarity, and harmony – creating new sounds out of diverse ones – even more so, through the sounds of our own vocal chords and breath. A song’s message has a power and elegance that’s hard to counter. 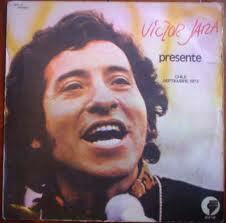 Sometimes this makes musicians targets of repressive forces, such as when the Pinochet regime murdered Victor Jara shortly after the coup that toppled Chile’s Allende government (that other September 11th, in 1973). Victor was part of la nueva canción movement, which, like volcanto in Nicaragua, fused existing folkloric forms with new ones laced with poetic political content. When a song is home grown and not globalized pop pap, it can assert cultural pride as a counterpoint to colonization and silence. I think it’s analagous to reclaiming a language which has been suppressed. Perhaps that’s why a Stan Rogers ballad can have a deeply political layer beneath its lyrical strength and beauty. His songs elegize and celebrate the mythic and the real here in Canada; they don’t fawn over New York or L.A.
My outlook on life changed when I discovered Stan’s music, as well as that of Stringband, Connie Kaldor, Roy Forbes and other singer-songwriters who have persisted in writing lyrics and melodies about Canadian lives and places. I had grown up on imports, and hearing songs like Bob Bossin’s “Tugboats” brought me home. James Keelaghan, David Francey, Maria Dunn and many others continue to expand my understanding and appreciation for this land. I’m fortunate to live in an area that has a wealth of songs about it by people like Ross Douglas, Allen des Noyers, Yael Wand and more. Just walking to the post office each day I pass two buildings and two streets that feature in Ross and Allen’s songs; whenever I take out our canoe on Bowron Lake, I hum Yael’s Take Me To The Water or One Stroke. Their music deepens my relationship with places and people close by, moves me, and dares me to dream. Singing in public can be cathartic. As Kristin Linklater explains in Freeing the Natural Voice, all humans can sound a wide range of notes which tap into an assortment of emotions. Because most regular speech occupies only a narrow range of notes, it can’t stir up our emotions the way singing can. Ironically, music’s power to provoke is also a reason many recoil when asked to sing. Such a request immediately sparks old or unknown feelings. Suddenly, the Comandantes at the front of the march started singing The Banana Song: “Ev’ry nation like bananas…” and everyone joined in unison, laughing and smiling. It was a soca dance song that was popular at the time, done in an Atlantic Coast kind of Pidgin English, and I realized that not only were these serious ex-guerrillas confident leaders, they knew how to have fun, even dressed in fatigues. (Let’s leave the question of what happened to the Sandinista revolution for another day.) Maybe not quite what Emma Goldman might have had in mind about revolutions needing dance, but a step – with a shimmy – in that direction. As Stompin’ Tom Connors sings, “A land without song cannot stand very long…” It may be hard for Canadians to imagine singing together publicly like Nicaraguans, South Africans or Estonians. But just because we’re out of practice or feeling a bit shy doesn’t mean we can’t reclaim our voices. Like apologizing when another bus passenger steps on our feet, it’s just an old national habit to break. 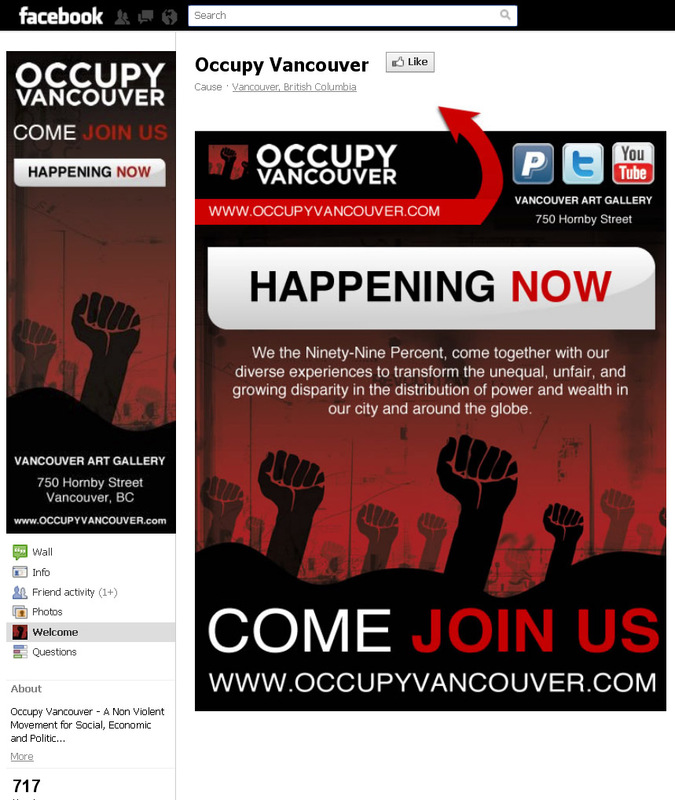 It wouldn’t take many singers to catalyze the Occupy movement with some much needed melody, rhythm and content. A completely low tech source of power awaits those who risk singing out loud in a group, large or small – hopefully something Canadian. I wouldn’t be surprised if the doctrinaire protestors who worship at the church of the clenched fist, as well as the authorities, will want to try to silence them. But once they start, it might be hard to stop. My question is, What Canadian song do you think we should start with?